Sugar Me’s holistic beauty treatment is especially for those who like to combine a beauty treatment with deep relaxation. Those who appreciate their inner beauty and know what it takes to let their light shine. 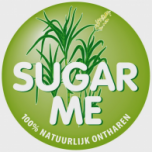 Sugar Me’s holistic beauty treatment takes you back to basic with organic and natural ingredients, fruits and veggies. Yes, you can eat almost every product that is used for your face. Now, how about that huh? Let go of your everyday life and just surrender while your face and upper body are taking care of. After 90 to 120 minutes you will feel like a brand new person! You are welcome no matter the condition of your skin. If you are looking for solutions to deal with acne or other challenges, just ask!